There are millions of apps for iPad and not everyone will have use for all of them. However, there are a number of iPad apps that everyone must have so that they can enjoy this amazing device to the fullest. In this article, we will be sharing these top ten apps with you. The first must have app for iPad is Angry Birds. It has become the most popular phenomenon, and once you play it, you will get addicted to this game. This is a free app, and you will never get bored with this. You should also download PhotoShop Express if you love to play with pictures. You can modify pictures by using tools such as cropping, straightening, rotating or flipping. This is also free and makes your iPad more useful for picture editing and viewing. If you love cooking, then you must download Epicurious. This app has more than 25,000 recipes along with some gorgeous pictures. With this free app, you will know what to cook for every meal. If you are a movie person, then there is no alternative for NetFlix, which is free to download, but you will have to pay $8.99 per month for a subscription. Besides iTunes, this is a great app to view thousands of videos. However, if you prefer reading, you can try the Kindle app which is free. The bright display, sensitive touch screen makes iPad more comfortable for reading Kindle books than Kindle itself. If you have your own Kindle account, you can still enjoy the books on your iPad. Another free app that you can use is the AP Mobile which is a great for news. Along with news and features, it also has photos and videos. It supports local news as well. For social media, iPad also has a number of killer apps. Among them, TweetDeck is the most useful one that lets you view and update your status in different sites like Facebook and Twitter in a single deck. 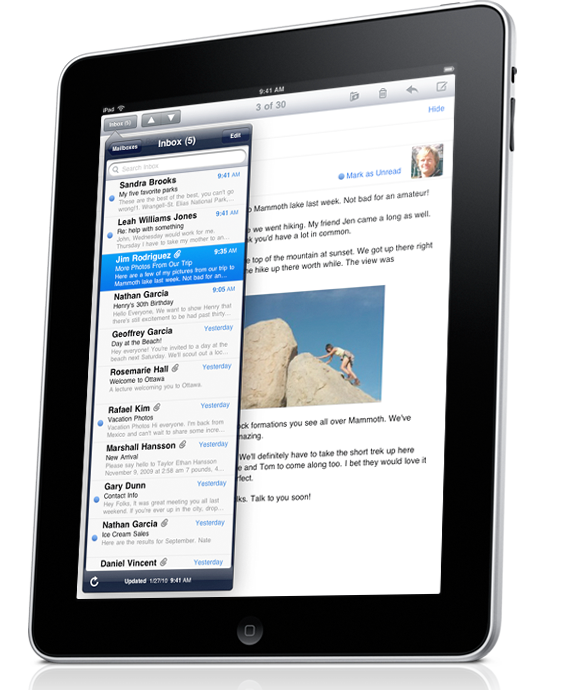 In addition, you can also try Instapaper Pro, iWork, and iDisplay. These are premium apps, but they will add more functionality to your iPad.